Lac Amora Real Estate for Sale - Pieters Realty, Inc. Welcome to Lac Amora! 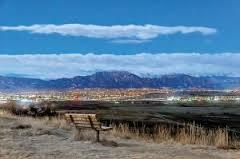 This neighborhood boast one of the most tranquil areas of Broomfield. Situated on the west side of the city, at the top of a hill, residence overlook the vast front range, have access to miles of trails and Josh’s Pond is in their back yard. Wild life is abundant here. It is not uncommon to see ducks, geese, blue jays, eagles, hawks, rabbits, fox, coyotes and more. Josh’s Pond is stocked annually for your fishing pleasure. It is not hard to see why people want to live here. Many will tell you this community has the “small town feel” many of us look for. The neighbors will welcome you and make you feel right at home. It will not be long and you will be sitting on someone’s porch enjoying the beautiful summer nights. • How much did that home down the street sell for? • How can I monitor the real estate activity in my neighborhood? Bookmark this webpage. With this page, you can see details about properties when they hit the market, what the property sold for, and get an idea of what your property might be worth. Check back regularly as we will post neighborhood news and activities.